So, that’s it. I’ve made my mind up. The final title of my trilogy, which definitely is a mythology, will be The Dream of The Mecha-Soul / Le Rêve de l’Âme Mécanique. Dreams are at the heart of everything, and dreams are at the heart of my creations. May us all never give up on our dreams, for they’re the clock that make us tick! In order to celebrate, I went to the vault of my previous creations, and I retrieved something that I’m pleased to offer you. Back in 2006, at the turn of the year 2007, the Flemish speaking TV Eén (1st) sent a crew on our set. The main principal photography location of The Droid was indeed set in Flanders, in the city of Leuven, where I found an old brewery that I loved instantly. They interviewed us for the Rode Loper show. It was a great experience, even though we were so busy shooting of our own film that we didn’t really prepare for it. 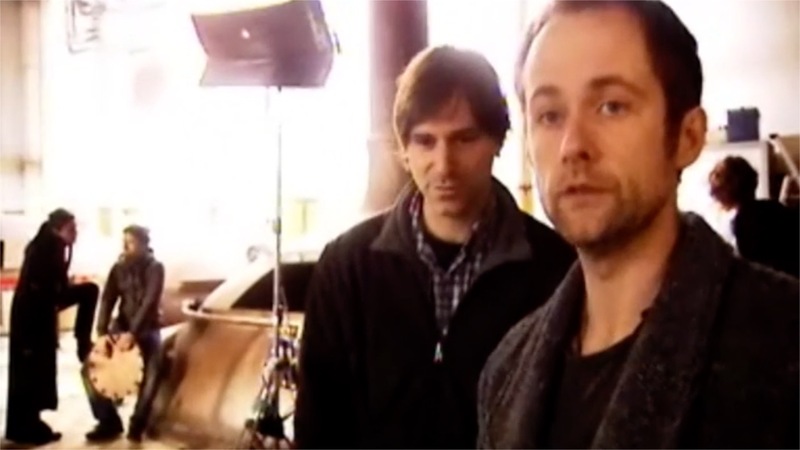 The actors, Billy Boyd, Dominic Gould and Smadi Wolfman, were quite used to the exercise, but as far as I was concerned, it was another story. My mother language being French, I’d have been much more comfortable had I been able to prepare a little beforehand. But, like so many things during this shooting, it just happened and we did our best with what we had. I think this could have been our moto: Just do the best you can with what you have! Note that the first 5 seconds are in Dutch, and then everything is in English.